iRobot's Packbot bomb disposal robot was one identified in Carpenter's research as the object of soldiers' emotional attachment. They regarded their Packbot as something of a 'pet'. Julie Carpenter, a graduate student at the University of Washington, released research on the attachment soldiers form with their bomb disposal robots. Two of the robots cited were the Packbot and the TALON bomb disposal units. These allow soldiers to control a bomb-defusing robot from a safe distance with a video game controller or computer setup. As the video above demonstrates, it can be used in many life-threatening situations. Carpenter found that soldiers cared deeply for their robot comrades, and would even host funerals for fallen bomb-defusing robots to help mitigate a range of real emotions experienced during grieving and loss. She even found that soldiers would take the robots fishing and 'let them hold the pole,' and they gave the bots nicknames like 'Scooby Doo' and 'Danny De Vito' to fit their distinct perceived personalities. Marine deploying a MARCbot defusal device in Iraq, 2005. From The Atlantic article "Funerals for Fallen Robots." Humans have been shown to form emotional bonds with inanimate objects and technology in a variety of ways. Children exhibit these behaviors frequently, as they form emotional attachments to blankets, dolls, stuffed animals, and other toys. Adults also form emotional bonds to a host of technologies, giving pet names to cars, ships, musical instruments, guns, and other tools and vehicles on which they rely. We can even form emotional bonds with digital pets and characters inside of video games, and experience sadness and frustration when breaking a cherished phone or electronic device. There is even a rare sexual fetish called agalmatophilia, in which people become romantically attached to human-shaped statues and life-sized dolls. For the majority of people, the emotional bonds we form with inanimate objects are not the same as those we would feel for a living creature, but these bonds can have a significant impact on our lives. It is with this in mind that we must review Julie Carpenter's research on soldiers' formed attachments to small battlefield robots like the Packbot. Can we understand a soldier's attachment to a bomb-defusing UGV by looking at our own attachments to inanimate objects and virtual creatures such as the Weighted Companion Cube (above)? The video game "Portal" pokes fun at man's ability to become emotionally attached to something as mundane as a box with a pink heart painted on it. 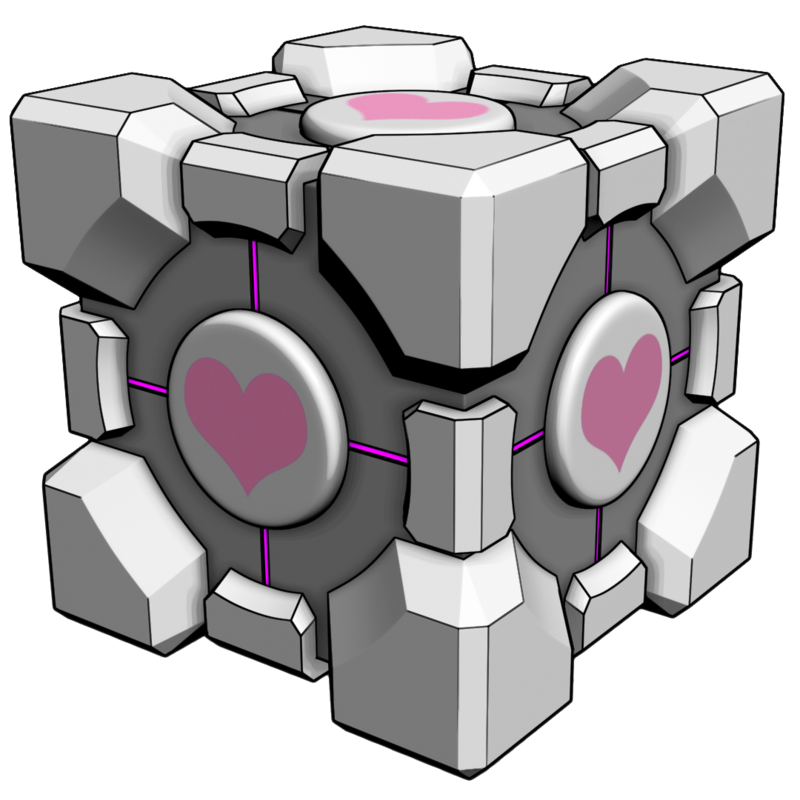 This totally silent and inanimate box, named the 'Weighted Companion Cube', accompanies the player through many difficult challenges until the main villain of the game forces the player to destroy it in order to advance. By this point in the game, most players feel a vague emotional attachment to the cube and a slight sense of guilt in disposing of it. This, paired with the game's continued insistence that it cannot talk and even if it could, we should 'disregard its advice', gives it a comic 'personality' in the game that is similar to the 'personality' soldiers attribute to their robot companions. The cube's emotional significance to gamers has made it a permanent icon of modern gaming, and the Companion Cube now makes cameos in many games beyond Portal. If we can understand the attachment one can form with a gray box inside of a video game, it should come as no surprise that modern-day soldiers form emotional attachments to the bomb-defusing UGVs to which they entrust their lives. The similarities between Portal's Weighted Companion Cube and a bomb-defusing UGV are obviously separated by the fact that the UGV saves real lives while the Cube helps players beat a video game, yet they both provide the user with a certain feeling of ownership that extends beyond their material being. Carpenter's research showed that soldiers would anthropomorphize the UGVs and view them as kinds of 'pets' for which they must care and protect. There are a wide variety of technological pets with which people form real bonds, and they sell in large quantities. The vast sales figures of these games would indicate that man's ability to emotionally bond with 'theoretical pets' has already been identified by major figures in the technology industry. 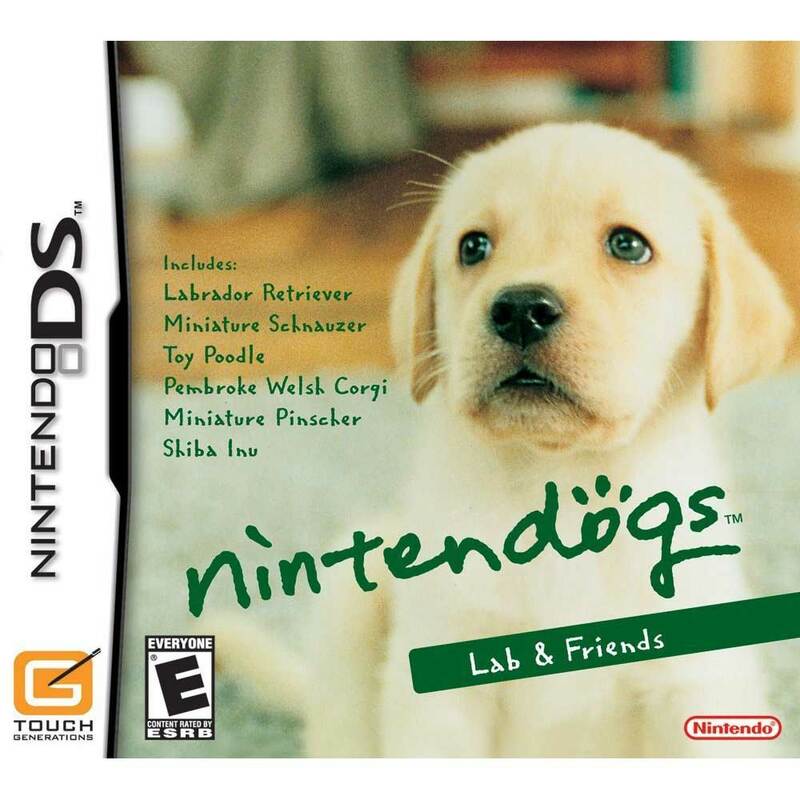 Nintendogs, a handheld dog simulator for the Nintendo DS Handheld electronics system, has sold over 23 million copies worldwide. This puts it in the second best-selling DS game of all time, just behind New Super Mario Bros.
Aibo was a brand of robotic dog that was sold up until 2006, when Sony decided to cut the program to conserve costs. Since then, robotic dogs have been produced by a wide variety of electronics companies. Soldiers begin to refer to UGVs in conversation almost as if they are pets, saying 'poor little guy' when they get injured or holding a 'funeral' if it is damaged beyond repair, according to Carpenter. She indicates that the soldiers impose human characteristics on their robots, even suggesting that they have particular genders and personality traits, and experience real feelings of loss and sadness at losing their robotic companions. Returning to our comparison with Portal, the main villain mocks the player's unwillingness to separate from his or her Companion Cube at its last moments before throwing it down the disposal furnace. Both the gamer and the soldier control their inanimate 'companions' to solve 'puzzles' of sorts, and any harm that may come to their companions is responded to in an inherently protective, human way. We tend to perceive them as selfless accomplices in our pursuits, filling their inanimate nature with imagined personalities of loyalty and dedication that is similar to a pet dog. We find comedy in their actions and mishaps, and this can cause people to become emotionally invested in their well-being. It is unsurprising in these ways that soldiers become attached to their robots, and we need more research to determine the positive and negative attributes of this emotional connection. 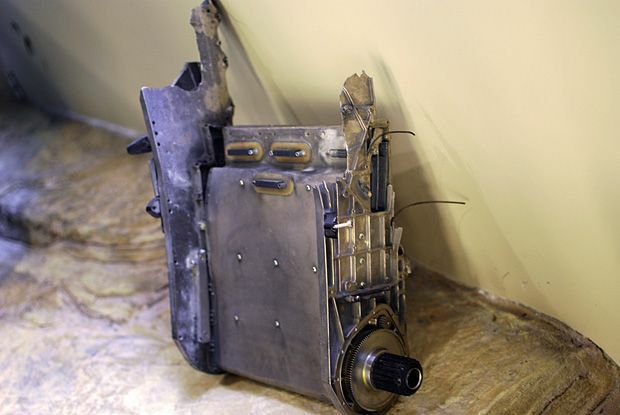 iRobot corporation, which manufactures a great deal of UGV bomb-defusing technologies, features the remains of Packbot #129 in its corporate museum. It was destroyed in an IED blast in the line of duty. Unfortunately, as Carpenter points out, she and many in the military see emotional attachment to tools and devices only through the dimension of affected judgment, and therefore not beneficial. She and others have suggested that future robots should have less "personality" in their design to avoid attachment formation. There is certainly validity to this concern, but there could be benefits to soldiers caring about the well-being of battlefield UGVs and other technologies that have not yet been researched. Caring deeply about the safety and use of these robotics could, for example, cause soldiers to become technology innovators, eventually improving upon existing models to solve functionality or usability issues. Soldiers who care about their bomb-defusing robots might also take more precautions in their usage, not throwing caution to the wind during procedures simply because they are not in physical harm. Finally, having an emotional attachment to the robots being used may increase unit morale, as we can see that losing these robots decreases it significantly. Overall, further studies must be conducted to identify what, if any, usefulness emotional attachment to battlefield UGVs may have for soldiers, and we must consider ways we can minimize the decision-making effects of robot loss on the battlefield. Simply ignoring emotional attachment in highly emotionally-charged situations seems a dangerous proposition. 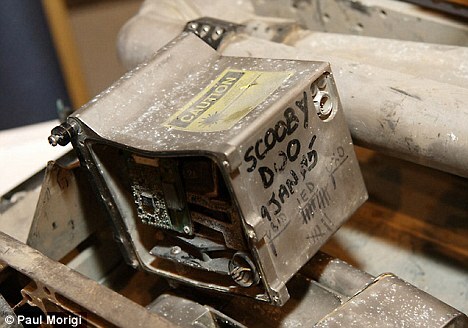 Soldiers mourned the bomb-defusing robot they had nicknamed 'Scooby Doo' after it was 'fatally' damaged in a blast. The robot had disarmed 19 explosive devices in its lifespan, practically making it a war-hero and certainly making it an invaluable member of US Infantry in war zones. Photo from DailyMail.